Sally started on her list. 1. Keep Bubbles out of the way. She put a nice comfy cushion on the sunny windowsill in her bedroom, next she placed Bubbles on top of the cushion. 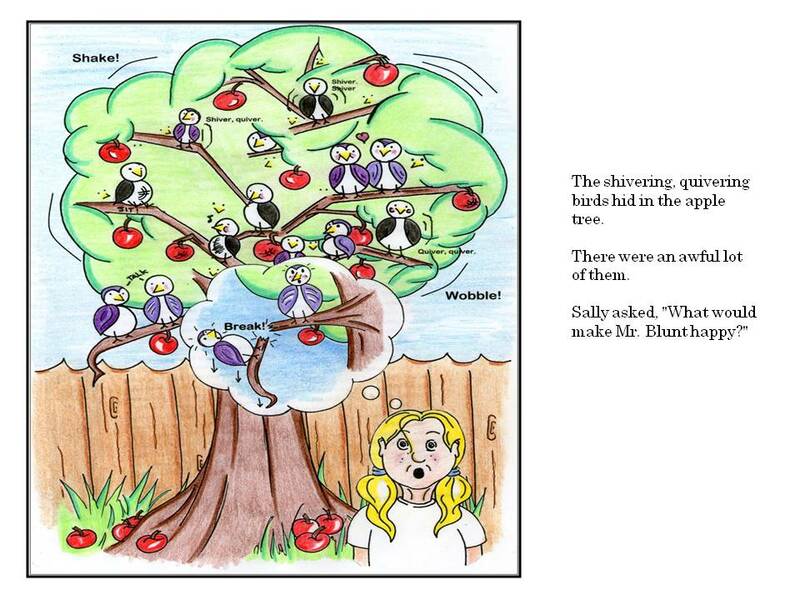 “Now number two, the birds,” Sally whispered. 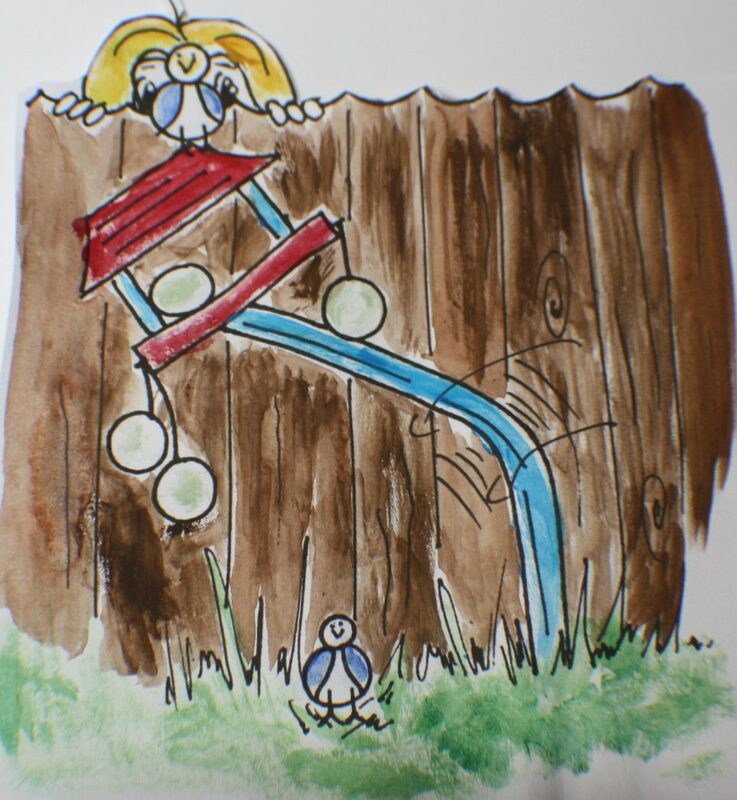 It was a tricky thing to do but Sally placed five fat seed balls on the bird table in their garden along with a full net of peanuts. Crossing her fingers she hoped the table wouldn’t break. 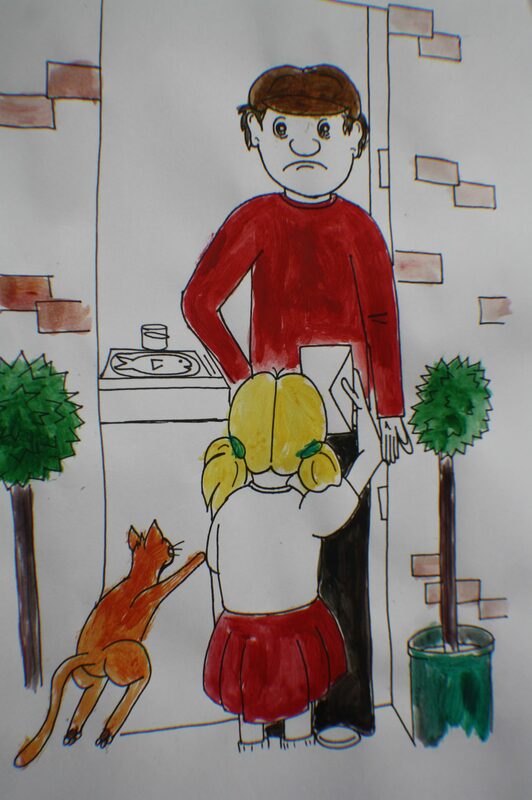 “Number three,” she said and went to collect his post from the postbox. Sally walked to Mr. Blunts door. Bubbles ran up to her as Mr. Blunt opened his front door. “Well, I don’t like her. Why have you got my post?” Mr. Blunt asked in a loud voice. 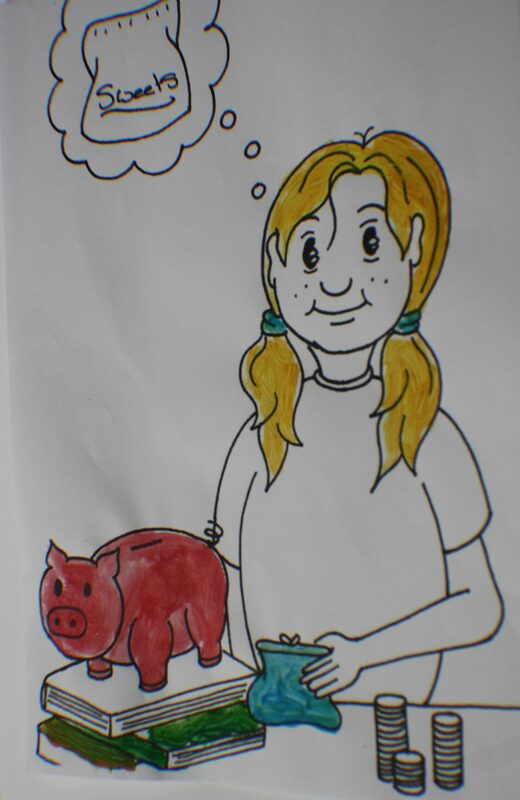 “I was being nice!” Sally whispered. Just then, Bubbles ran in to the kitchen. Mr. Blunt chased after her. Sally followed. Luckily for Bubbles, Sally was smaller and faster than Mr. Blunt. Diving under the table she caught Bubbles in her arms and dashed home. “My teacher says practice makes perfect, we will make him smile.” Sally said hugging Bubbles to her. Number four was – mow his lawn. But, Mr. Blunt had already mowed it. 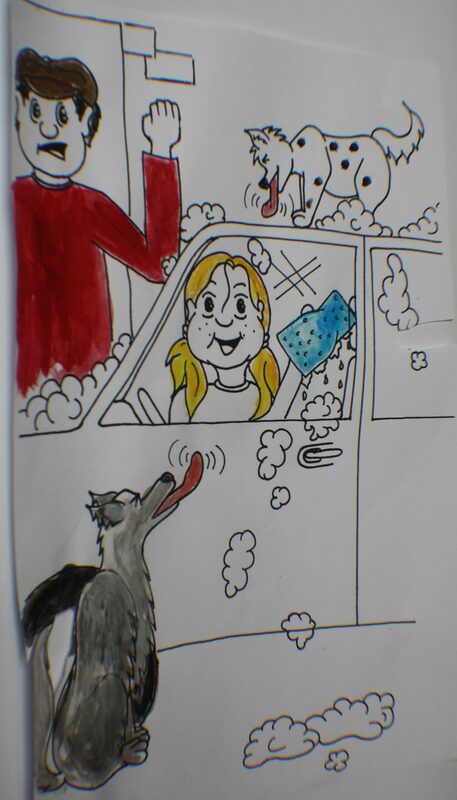 Number five: wash his car. Sally took out the buckets and sponge for washing the car. She wanted the car to sparkle so she squeezed an extra dollop of liquid into the bucket. She was washing the windows, when she heard a strange noise. She discovered there were dogs licking the car. Great big dollops of dog slobber were flying about and landing on the nice clean car. “Shoo go away,” she said. They started barking. Mr. Blunt came outside. “Who is making all that noise?” He stopped and stared at his car, which was covered in dogs of many shapes and sizes. He was still shouting as Sally and the dogs ran away. “Yes. It said, it will give the greatest shine all week long.” Sally said scratching number five off her list. Number six: buy him some sweets. Scooping the money into her blue purse Sally walked along beside her mum with a hop and a skip. The money rattled as she moved. Sally scrunched up her face. Mr. Blunt reminded her of a shark. “What would a shark like?” she asked. Sally bought some chocolate mice for Bubbles and herself. “Maybe he just doesn’t smile.” Mum said. Back home Sally walked to Mr. Blunts front door. She rang the doorbell. 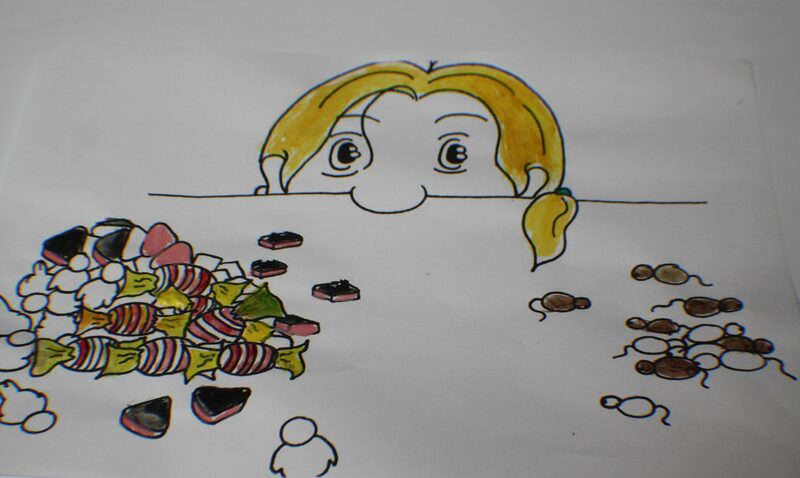 When the door opened Sally shoved the bag of sweets at him saying, ‘these are for you,’ and ran back home. Mum bent down and gave Sally one of her extra special hugs. That night Sally dreamed that Mr. Blunt smiled so much, he out shone the sun. It hid behind a cloud. The birds didn’t like his smile, they flew away. The dogs were frightened by it and howled like wolves. 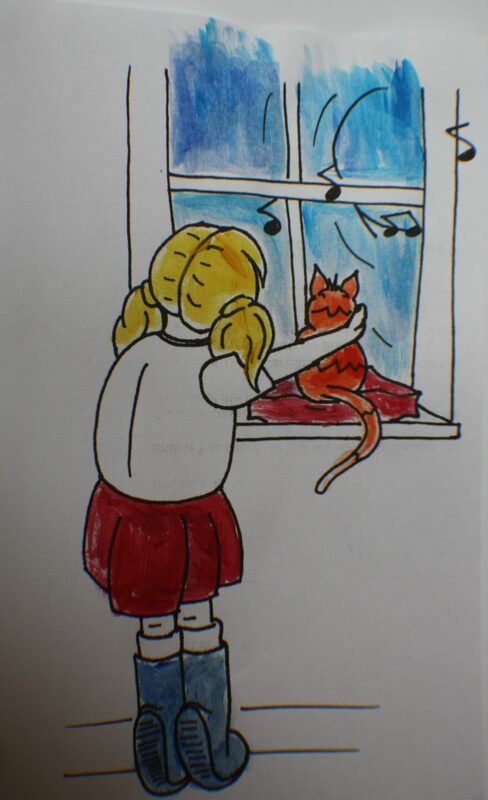 On the way to his house, the next morning, the wind pulled the drawing from her hands. It landed in a puddle. She gave it a shake and continued to his door. 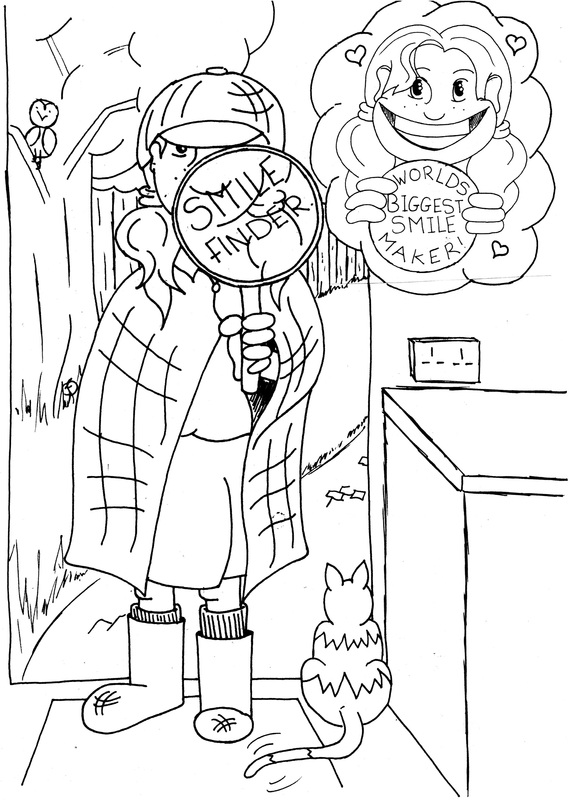 “I drew a picture to make you smile, here it is.” She held the picture out for him to see. He took the soggy picture and gave a nod of his head. He showed Sally how to make and fly paper airplanes. 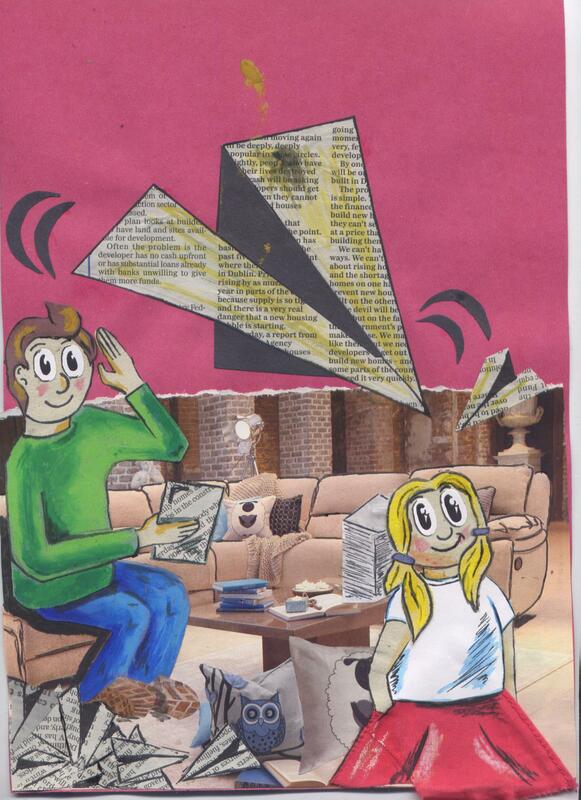 Soon the kitchen was full of paper planes whizzing about. “I can do this.” Sally said. Walking outside she took the empty bird food bucket and placing it upside down stood on it. She saw Bubble’s sitting in Mr. Blunts garden chair. The back door opened. Sally held her breath, pointed the nose of the plane in the direction of the back door and threw the plane. It flew straight. Then with a – smack- it hit him on the nose. “Ouch! Who did that?” He roared. Sally hid behind the fence. With a sigh Sally sat down on the bucket. Now she had to bake a cake. 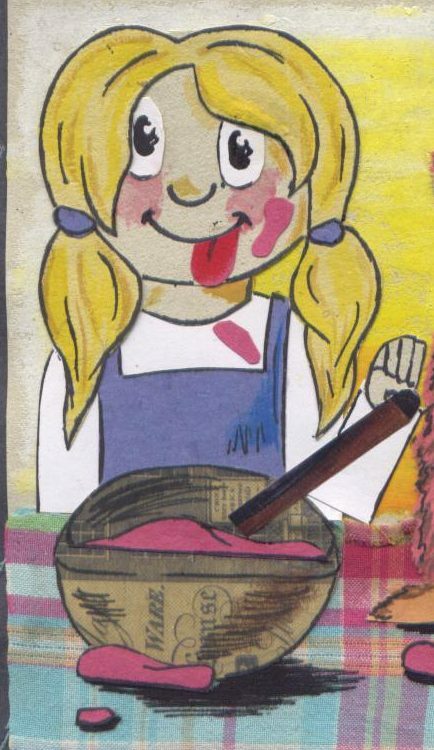 Sally didn’t like baking but she did like eating cakes. She baked the cake with mums help. While it was cooling Sally made the icing. “This is the best bit”, she told Bubbles as she drizzled some icing on his paw. He tasted it. Sally went to clean her face and put on a clean tee shirt. 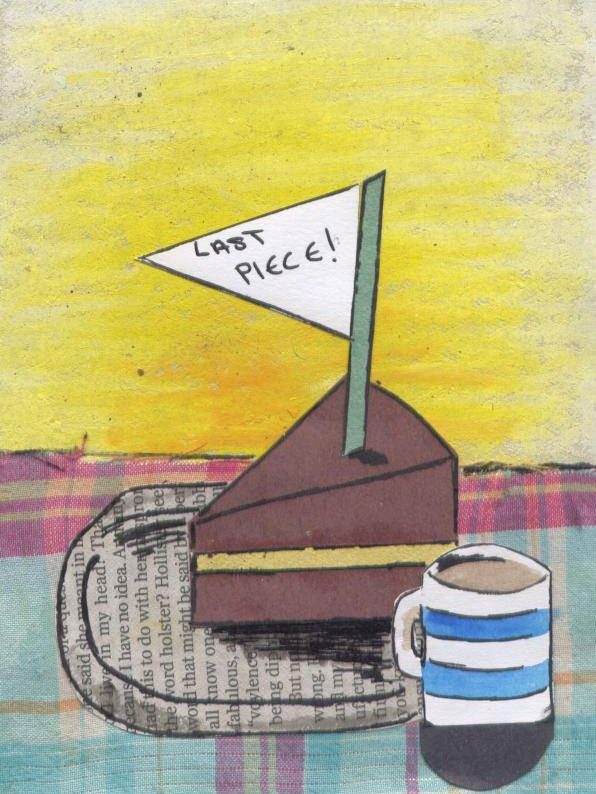 When she returned she discovered Dad had left just one piece of the cake. “Sorry Sally but it was delicious.” He said. “Really?” Sally said. They were watching a tv program about gardening. The man on TV was talking about Sunflowers. 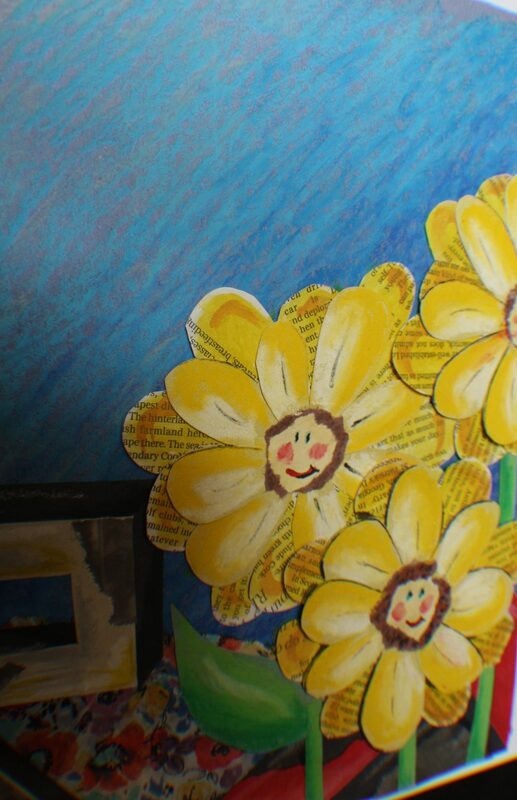 ” They are very smiley flowers, aren’t they?” Sally said. She went to find her dad. “The trouble is real Sunflowers take months to grow, Sally,” he said. Sally had a plan. First, she drew a huge sunflower. Then she and her Dad to his workshop. Days later they were finished. The flowers had bright yellow and orange faces. They had leaves for arms. The petals made a soft clicking sound that she knew the birds wouldn’t like. Her mum helped her paint the flowers. 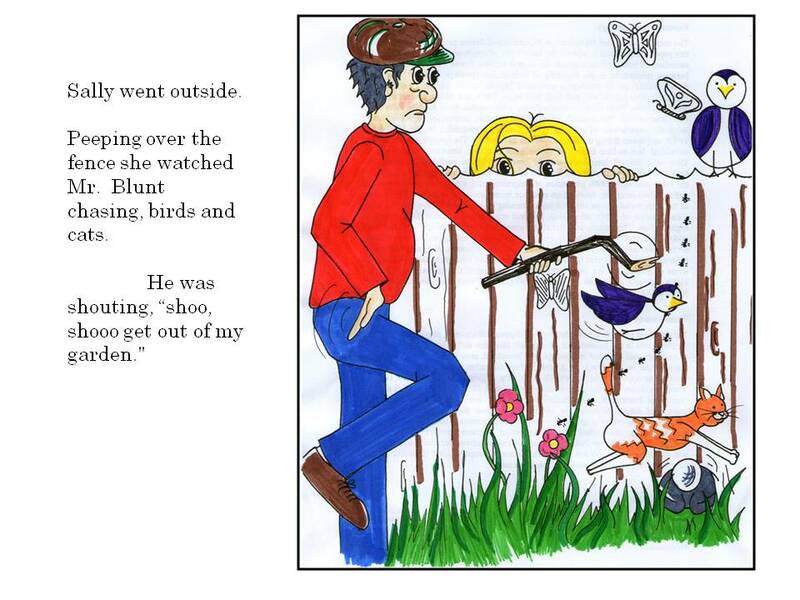 “It will keep them away from Mr. Blunts garden and Bubbles too.” Sally said. Next morning, Sally and her Dad went to Mr. Blunts house, very early to plant their sunflowers. 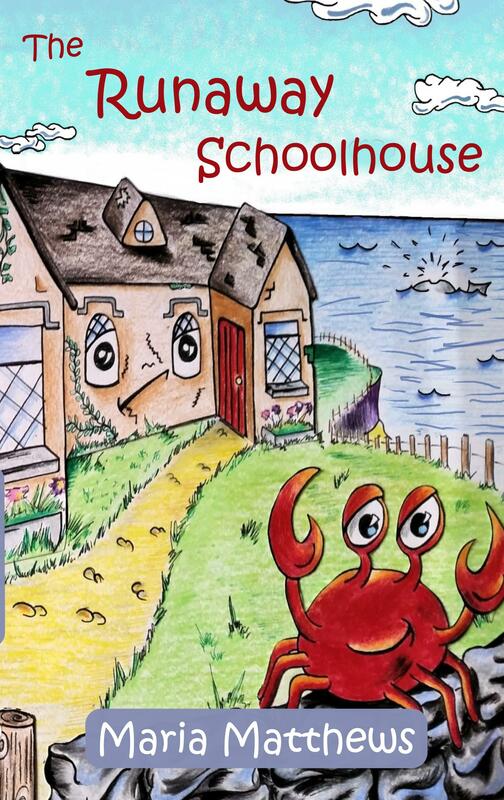 “Don’t worry Sally, if he shouts, I’ll shout back.” Sally crossed her fingers. Mr. Blunt was grumbling as he walked to the door. He opened it. “You!” he said to Sally. “Follow us, Mr. Blunt, you have to see this.” Dad said. Mr. Blunt followed them. They stood together and waited. Sally heard a strange sound. She felt sad, Mr. Blunt’s bottom lip was wobbling. She knew what that meant. “I’m sorry, these were supposed to make you happy,” she whispered. Sally did a cartwheel and laughed aloud. Her miles of smiles worked. “Well done! Sally. I’ve made some gingerbread, can I bring it over?” Mum asked Mr. Blunt. He answered with a smile. 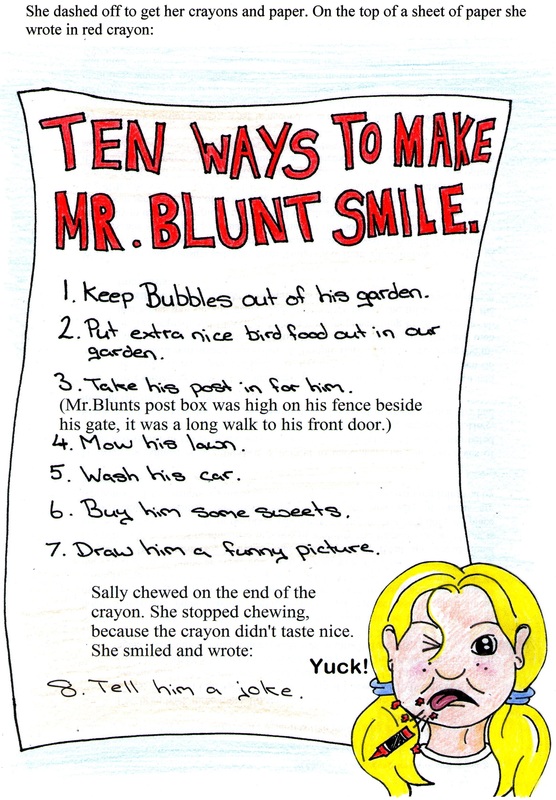 After that, Mr. Blunt became the smiliest man in the neighborhood. He even suggested they start a business. From then on every Saturday morning Sally, and Mr. Blunt sold sunflowers in the market. And every Sunday morning Mr. Blunt arrived at Sally’s house to hand her a small bag of chocolate mice for Sally, just to make her smile. 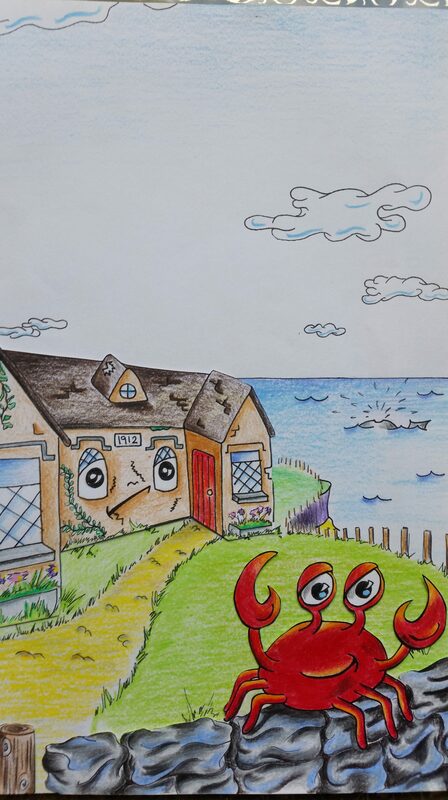 Images belonging to another children’s story yet to be completed. 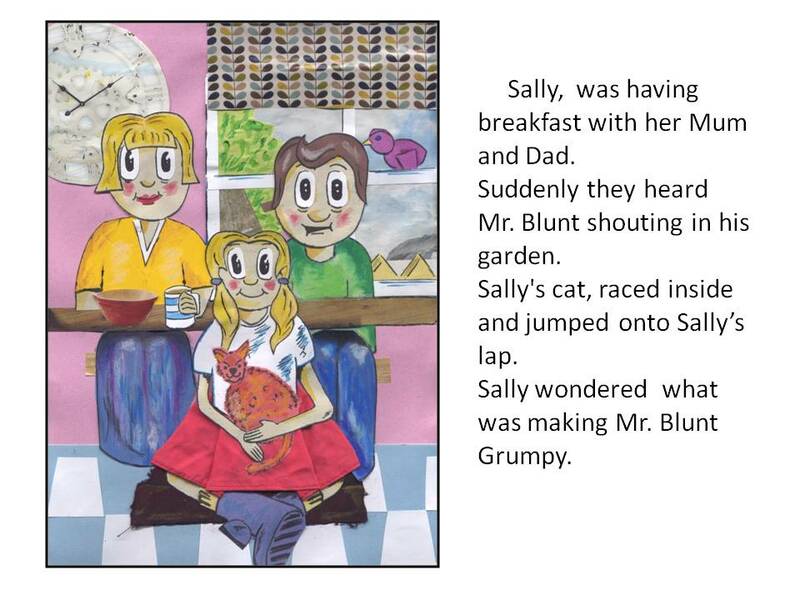 Sally lives next door to an elderly man who is grumpy. Her aim is to make him smile. The question is how does she do it? The progression of a book cover. I believed, stupidly, that once I had the main story written that the other bits and bobs would fall into place in a matter of weeks. which we liked but the problem was Harry the seagull had been cut from the story. So back to the drawing board and then with Harry cut, deleted, the next debate was the title and the type face (font) colours etc. Finally this was the final image. Did we get it right or wrong? Everyone’s opinion is appreciated.